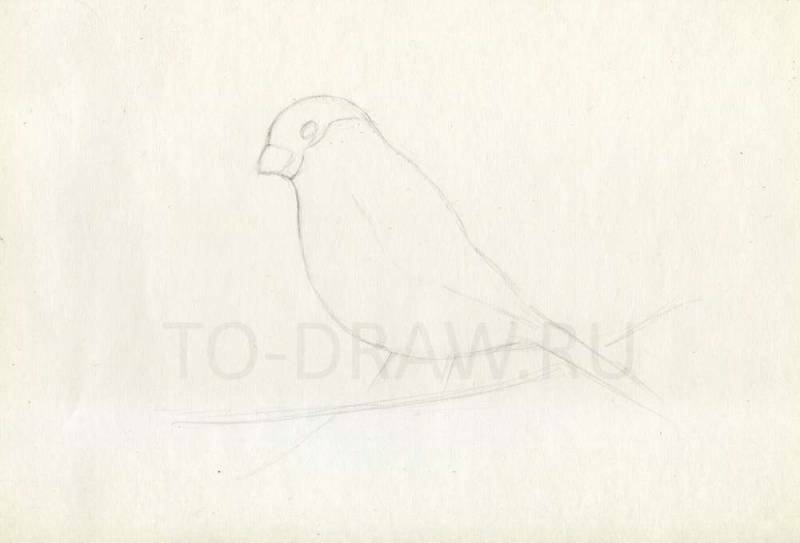 How to draw Snowbird pencil stages? How to draw Snowbird pencils? Lesson of drawing with colored pencils. Choosing the right color palette for our drawing. Red-orange colors, blue and gray. Draw the initial sketch of bullfinch in pencil. Carefully examine the shape of the body of a bird. 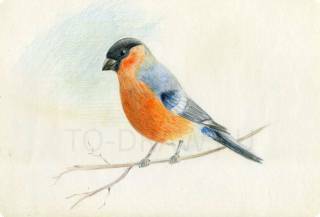 Usually bullfinches had our same instance more slender. Look at the characteristic difference in birds - beak. He is short and round. 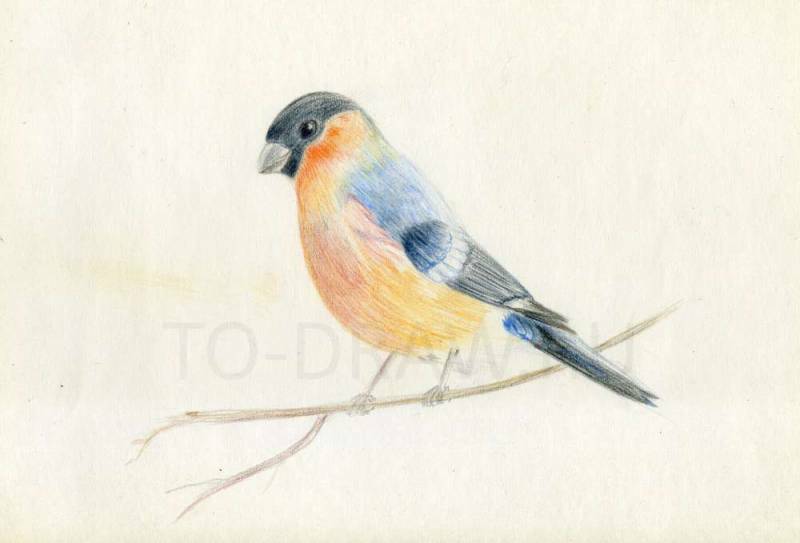 Draw the initial sketch of bullfinch. Then we begin to work with color. For the top of the head there were used the color black and Indigo (dark blue). Red-orange tones use for abdomen and Breasts. Blue, blue and grey back and wings. Add to the picture color. Will Prorsum at this stage, the eyes, use a black pencil and don't forget to leave a glare. Then sharpen very sharp pencil and carefully add a thin stroke around the eyes. The wings added brightness and clarity. Using dark grey and shades of blue. Draw the eye and add to the picture definition. Recruited color on the abdomen, breast and beak. In this figure were used, mainly, a short stroke of varying intensity for transmission waviness and fluffiness of the feathers. Add color on the abdomen. And the last step will add a bit of color back. Add a little color back.